Long View RV provides some of the best motorhomes to rent in Connecticut. At Long View RV we rent newer year models with low miles. All of our units come with TV's, DVD players, and power awnings, something many places don't make available. We work our hardest to help you make a one of a kind trip that the whole family will never forget. Whether your trip is a three day weekend or a multiple week journey, we will help you make the trip as easy as possible. If you're interested in living the RV lifestyle, but aren't quite sure it's right for you, renting an RV is a great way to test the waters. Renting is also a great way to enjoy vacationing in a unique way that lets you see more of the country. With RVing half the fun is getting to your destination! 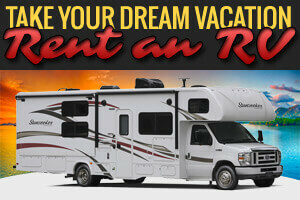 RV vacations provide you with unprecedented freedom and flexibility. You'll never worry about getting to the airport in time, losing luggage, checking into hotels or finding a rental car. What are you waiting for? Start your RV adventure today! What comes with my rental? Rentals include fresh water hoses, a waste hose, electrical adapter, and anything else needed to operate an RV. All of our units also come standard with a TV, DVD player, stereo system, electric awning, sofa (unit specific), dinette, full bathroom, bunks (unit specific) and a queen bed. You'll need to bring items like blankets, pillows, and kitchenware. Read our F.A.Q. page to learn more about renting from us. If you are new to RVing and need some ideas on planning your trip visit our Trip Planning Page. 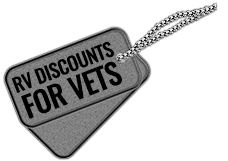 Once you have decided that RVing is right for you, click on the Check Availability and Pricing link to make your reservation online, or if you have questions, you can contact us.